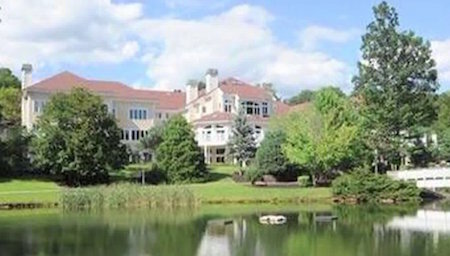 FARMINGTON (WTIC) -- Could 50 Cent's mansion become an assisted living facility? That's one proposal for the home, according to an attorney for the rapper. 50 Cent, whose real name is Curtis Jackson III, was reported to have sold his 21-bedroom, 25-bathroom home in Farmington for $8.5 million according to TMZ.com. TMZ report that the home will be used as an old folks home. An attorney for Jackson, said however, that no deal has been reached. The attorney said the real estate broker for the property, Jennifer Leahy of Douglas Elliman, has received inquiries from prospective purchasers and one developer who is specifically interested in turning the home into an assisted living facility. At this time, no contract for sale has been executed and the property has not yet been sold. Jackson filed for bankruptcy in Hartford Federal Court in July. He claims that he still makes millions, but that a flood of expensive lawsuits is killing him. His attorney said no sale of the property will occur without the prior approval of the bankruptcy court and no application for that approval has been made and until the court approves a buyer, the property will remain on the market. If a developer wanted to change the home into an assisted living facility, Farmington's town manager, Kathleen A. Eagen, said a zoning change would have to be approved by the town. That would require public hearings and lots of paperwork, she said. The rapper bought the 50,000-square-foot mansion for $4.1 million in 2003, but reports say he invested between $6 million to $10 million on renovations. Jackson first asked $18.5 million for the home in 2007 and has been periodically reducing its price ever since. Since October, 50 Cent has posted several photographs on Instagram of him playing with cash. In one, he's in bed surrounded by dozens of stacks of $100 bills -- easily $50,000 in that picture alone. In another, he stacks the Benjamins to spell out "B-R-O-K-E,"prompting a judge to order him back to court. Coldwell Banker had been listing the home as available for rent for $100,000 a month.